Career Point- An Education PE Fund ? Ajay Relan refers to Career Point as a “fallen angel” and he expects this angle to fly again in the near future. He loves it as it is service based, has a brand name, is a B2C business, operates in a recession free industry, generates massive cash flows, can scale without significant capital investments and expects it to give 3x returns in the next 3 years. Excited ? Well lets delve a little deeper into this company. Career Point operates in three 4 ( 5 & 6 are new ) models with more than one over lapping the other. Tutorial Services – The are pure tuitions, bundled into schools as an additional service or also a fully residential campus for pure IIT coaching. Tutorial Business:A couple of years ago the government changed the policy of IIT admission by making the calls 12 marks relevant all of the sudden. Students used to ignore their 12th scores and only bother on the entrance test scores. Students who got through the entrance tests would have nothing to complain but the ones who couldn’t make it ( the obvious majority ) used to suffer a double whammy with poor 12th class scores and entrance scores, limiting other career options. This led to lots of student postponing the tutions to after the 12th instead of the old policy of from the 11th. However, with the new policy Smriti Irari has brought some more sense into the policy by adding a filter wherein a student is eligible for an IIT admission only if he is ranked in the top 20 percentile of the 12th class examinations or has secured atlas 75% marks in the 12th boards. The confusion is now done. This clarity has already brought back the admission of career point into recovering its previous highs of 30,000 students. This will bring back the tuition business into the previous high of 2012 wherein the company had sales of about 80 crores and 32 cr in PAT. I assume that they should irrespective of changes in the competitive landscape reaching their previous glory by 2017. School Business: With an accurate shortage of private schools in the country as long as people do not screw up, schools should do well and i expect nothing short of this in from career point. The additional benefits of having a great reputation as an institute that has 7,900 IITians to its credit and 1,28,000 engineers and a total of 28,00,000 students will only help it in the future. University Business: Over the last few years the company had invested about 170 cr into building up 4 university campuses. It did this with the cash it generated and the money it raised from the public issue. This is the 3rd year of the operation of the universities and they have more or less reached the break even point. Extremely fast compared to usual university breakeven point of 7-8 years. Also, 70% of the first batch has already been placed. There is a lot of psychology also at play with Career Point. Kota has had the reputation of a mecca of education in India for a while. It is sorta sacred. When parents from small town want to send their children they would prefer to send them to Kota over say Delhi, simply because they are scared of a big city and the perils that come along with it. In simple words Kota is the ” good Boy” of education campuses and it being majorly oriented towards the competitive exams, parents kind of rest-in-peace with this decision. Big moat for educational institutions in Kota. 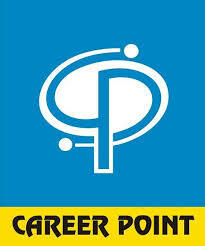 Vocational Education: Career point has signed up an MoU with the government of Rajasthan to train 1,00,000 students. The are to start with about 1,500 this year and are to be paid between 20,000 – 30,000 per student. The potential is absolutely warranted. What needs to be seen is if the Govt actually ends up paying the company as promised and in time. Investing into CP is almost like investing into a mutual fund for education. It covers K-12, tutorials, university, vocational education and now even finance. At 160 Rs a share the company has a M.Cap of about 290 cr. The Book value of the company itself is 360 cr with about 200 cr in cash or in receivables i.e the company is valued at about 160 cr. With soon many growth levers, a management that has 28,00,000 customers till date and its demonstrated abilty to easily make upto 35-40 cr PAT by 2017. I think this is a good bet. Previous articleMPS LtdIs MPS being smart or stupid ? Next articleStock IdeasThomas Cook is cooking up a magic potion. This Vocational Education training thing remind me of Edserv and compucom !! 😦 I didn’t find any company which really got benefited. The only hope is that this government will be a little different. how can i subscribe for your posts? Reblogged this on Financial Markets.